And lastly, from a Gnome desktop. This for those trying Linux out and have yet to venture into command-line territory, or have no interest in it at all. 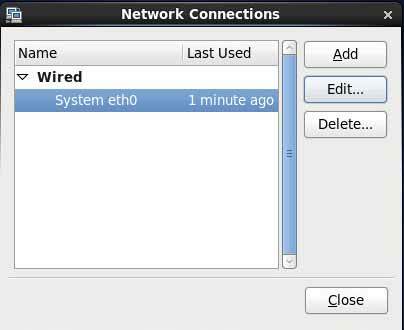 This configuration is done by modifying the network configuration directly, using a text editor. This method is typical for servers, and is a more advanced way of doing it. Modfy the configuration file to look similar to the one below. Remember to change the highlighted values to match your environment’s. 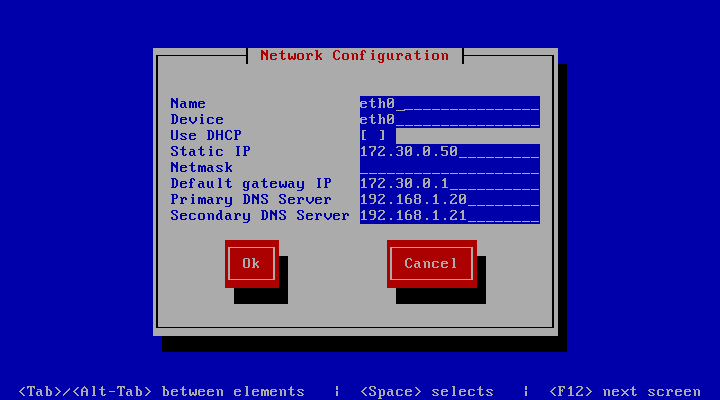 The System Config Network tool is a terminal application that presents a very basic GUI. 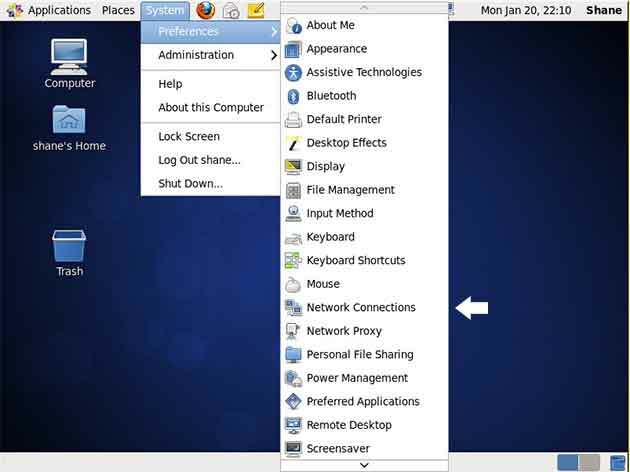 It can do basic network configurations, such as configuring static or dhcp addresses, setting the DNS server IP addresess, and setting the default gateway. 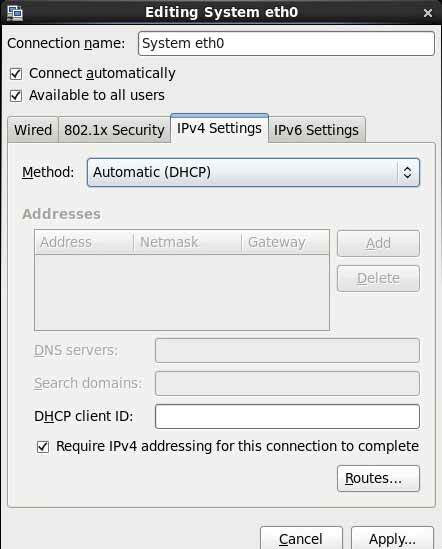 For Dynamic IP address allocation, ensure the Use DHCP box is checked. 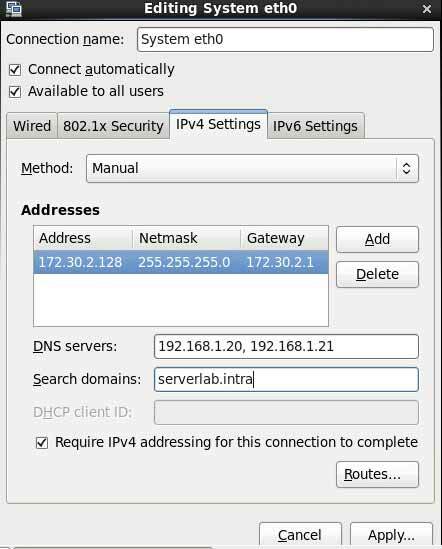 Otherwise, for static IP address allocation, enter the static IP address, netmask, default gateway, and DNS server infomation. 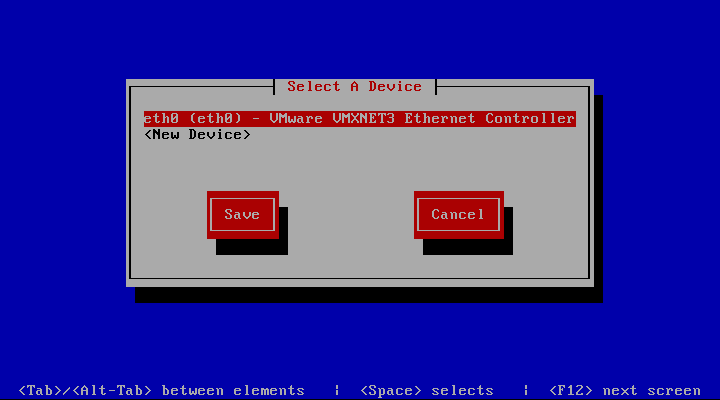 Click to expand the Sytem menu, expand Preferences, and then click Network Connections. Enter your search domain suffexes in the Search Domains input box, separating each entry with a comma.